Choose your recipient's favorite character and we will build an amazing balloon bouquet featuring; 2 foil balloons with the character, 2 giant oversized latex with collars, and 2 print latex. We can customize the colors to your favorites. The weight is nesteled inside and box and wrapped to look like a present. A real eye-catcher! Shown, Hello Kitty helps celebrate your child's birthday! 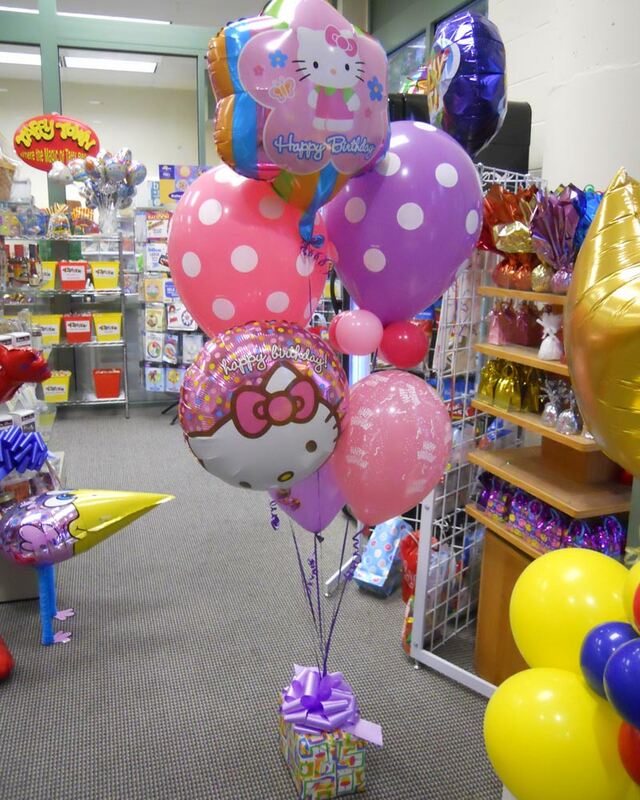 You can mix and match a variety of balloons to suit your needs. Remember, we just want it to be "purr-fect" for you. Click the button below to add the Character Birthday Balloons to your wish list.